Today we are in an era where we are surrounded by the technological advancements that have touched our life in every possible way. The modern development and advancement of technology had led the foundation of the initial development of smartphones and today it’s almost impossible to imagine a day of yourself without a smartphone. 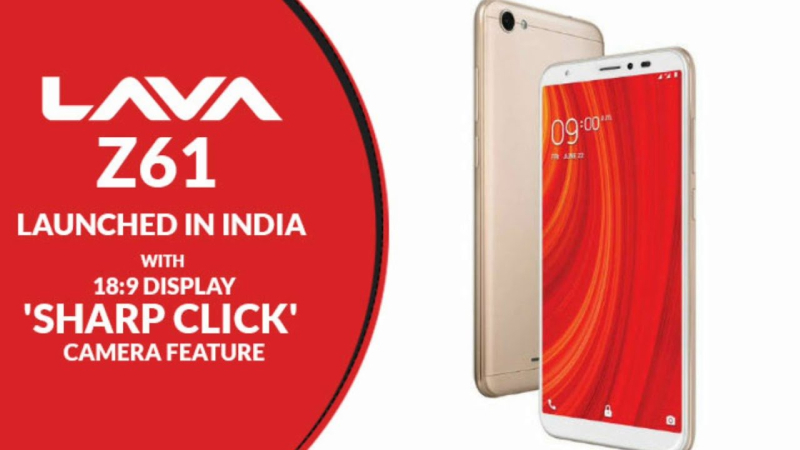 The dependability of the smartphone has increased the demand so the manufacturers are compelled to launch smartphones even at a very small budget price. The main purpose of this article is to provide information regarding all best android phones under 6000 in India. The article below will provide you with a brief idea about the smartphones under Rs. 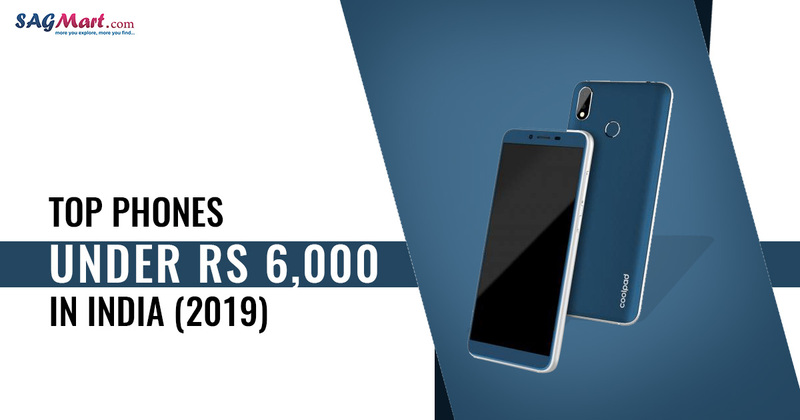 6,000 available in India until today and will also enlighten you about the top Android smartphones 2019 in this price segment that we have selected from the various renowned smartphone makers of the globe. The list will also help you figure out the best mobile under 6,000 that can suit you the best. While preparing the list all major perspective of a good smartphone have been deeply retrospected and comparatively analyzed to name some, software specifications, camera, price and all other qualities that a smartphone must have to attract users. The Lava sub-brand Xolo comeback with his new smartphone Era 4X with 5.45-inch HD+ Capacitive touchscreen display. The new smartphone runs on the Android 8.1 Oreo OS and offers 2GB of RAM with 16GB internal storage, which is expandable up to 32GB via SD card. The smartphone has a non-removable 3000mAh battery and also features an 8-megapixel rear camera coupled with a 5-megapixel front camera for selfies and video calling. The Era 4X also support the face unlock feature that makes it more secure. The mobile has a Quad Core, 1.25 GHz Processor. Xiaomi is one the best smartphone manufacturer company. 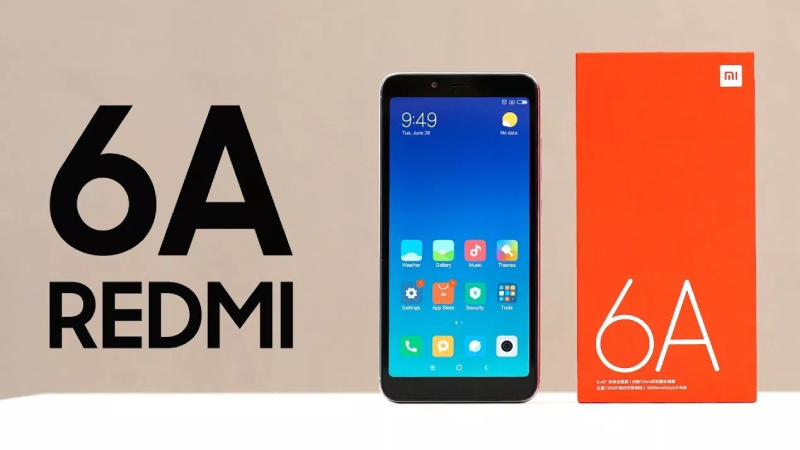 Redmi 6A is a budget-friendly smartphone, comes with 5.45-inch IPS LCD touchscreen display. The device operates on the Android 8.1 Oreo Operating System with powerful Quad-core 2.0 GHz Cortex-A53, MediaTek Helio A22 processor. The device comes with 2GB RAM and 16GB flash memory, expandable up to 256GB via microSD card. It accompanied with a powerful 3000mAh Non-removable Li-Po Battery. Redmi 6A offers a 13-megapixel rear camera with 2.2 physical aperture, low light photo enhancement, standard HDR while at the front there 5-megapixel camera support face unlock, portrait mode, age recognition feature. The connectivity options are 4G LTE, Bluetooth 4.2, Wi-Fi 802.11, A-GPS, Micro-USB and 3.5mm Headphone Jack. 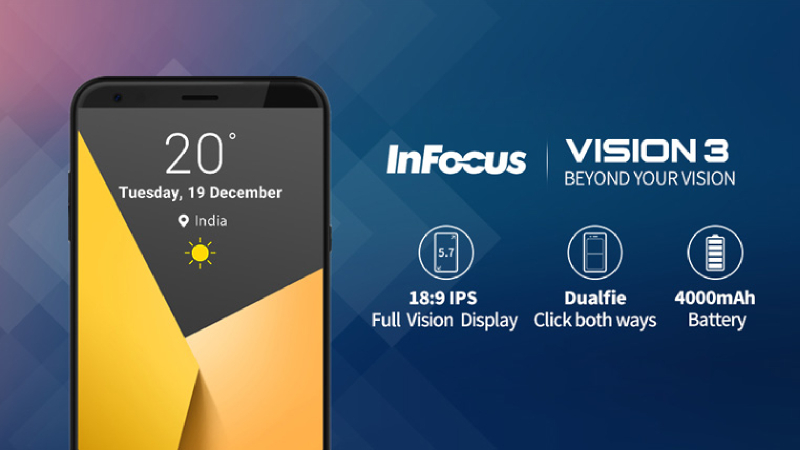 InFocus Vision 3 dual camera smartphone launched with features a 5.7-inch HD+ IPS ONCELL touchscreen display with 720×1440 pixels resolution. It has been powered by a 1.3GHz Quad-core processor which operates on the Android 7.0 Nougat OS. The Dual SIM smartphone packs 2GB of RAM and 16GB inbuilt memory, expandable up to 128GB via a microSD card. It is powered by a 4000mAh Non-removable Li-ion Battery. It packs a 13+5-megapixel Dual primary camera along with 8-megapixel front shooter camera for the selfie and video calls. The Lava Z61 2GB RAM mobile features a 5.45 inch HD+ IPS LCD capacitive touchscreen display with 720×1440 pixel resolution. The device operates on Android v8.1 Oreo and powered by a Quad-core 1.5 GHz processor. Its 1GB RAM variant available at just Rs.5,750. Z61 packs a 1GB RAM and 16 GB flash memory, expandable up to 128GB via microSD card. The phone comes with an 8MP rear camera and 5-megapixel front camera. The smartphone sharp camera able to capture every detail. Yu Ace smartphone has sharp edges and a clean design. It supports a 5.45-inch TFT capacitive touchscreen display with 720×1440 pixels resolution. The dual-sim mobile runs on the Android 8.1 Oreo Operating System and had Quad-core 1.5 GHz Cortex-A53, MediaTek MT6739 processor with a fingerprint sensor. 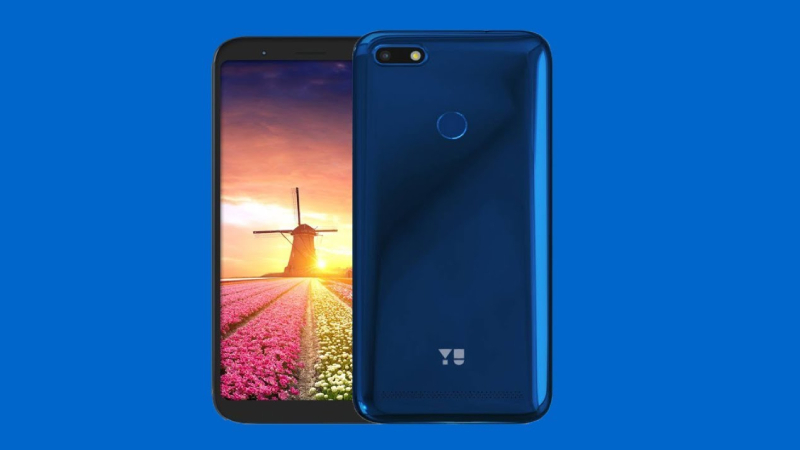 Yu Ace smartphone available in two variants 2GB or 3GB RAM and 16/32GB internal storage. The Ace’s 13 Mega Pixel rear camera with Autofocus and Flash features and its 5 Mega Pixel selfie camera system deliver clear and crisp pictures. It powered by 4000mAh Non-removable Li-ion Battery. 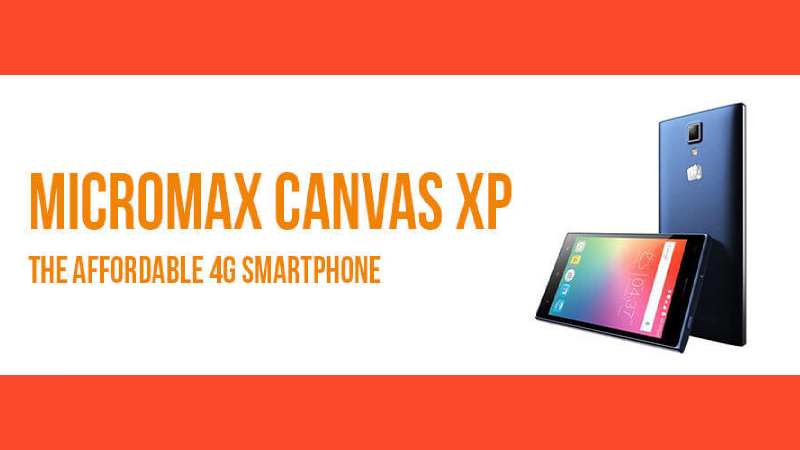 Micromax Canvas XP 4G dual sim smartphone available at price tag Rs.4,649 in India. It runs on the Android 5.1 Lollipop Operating System with 1 GHz Quad-core processor. This Micromax device powered by 3GB of RAM and 16 GB ROM that can be expanded. The smartphone is packed with 2000mAh non-removable battery which is rated to deliver talk time up to 6.5 hours and stand by time up to 182 hours. 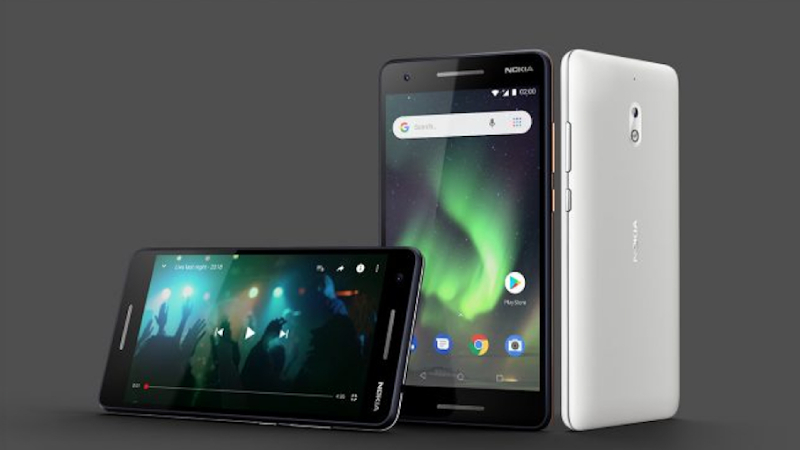 Nokia 2.1 Android phone launched in August 2018 in India. It comes with 5.5-inch IPS LCD capacitive touchscreen display. Nokia 2.1 smartphone runs on the Android v8.1 Oreo Operating System and powered by a Quad-core, 1.4 GHz, Cortex A53 processor. The phone packs 1GB RAM and 8GB internal storage, expandable up to 128GB by microSD card. The Dual SIM handset offers 8-megapixel primary camera and 5-megapixel front shooter for selfies. It powered by 4000mAh Non-removable Li-ion Battery which provides you the freedom of 2-day battery life. 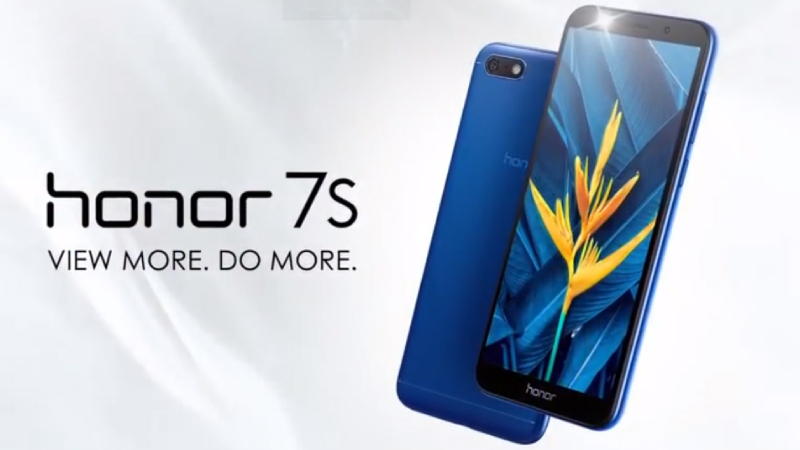 Huawei Honor 7S is an affordable phone which comes with Face Unlock and other quality features. The device sports a 5.45-inch IPS TFT capacitive touchscreen display with the resolution of 720×1440 pixels. The dual sim smartphone operates on the Android 8.1 Oreo OS and equipped with a Cortex A53 quad-core 1.5 GHz, MediaTek MT6739 processor. It is armed with 13-megapixel rear camera sensor which is assisted by the features like autofocus, face detection and LED flash and provides a 5-megapixel camera for selfie freaky people. The device offers 2GB RAM and 16GB inbuilt storage which is expandable up to 256GB via microSD card. It packs 3020mAh Non-removable Li-ion battery. 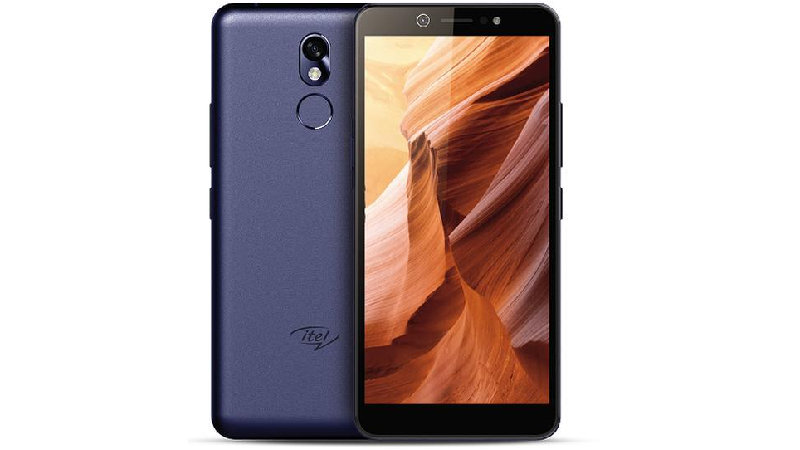 Itel A22 Android mobile features a 5-inch FWVGA+ Capacitive touchscreen display with a screen resolution of 480 x 960 pixels. It runs on Android v8.1 oreo OS and powered by Quad-core, 1.3 GHz, Qualcomm Snapdragon 210 processor. The device paired with 1GB of RAM and 8GB inbuilt memory, expandable up to 32GB by using microSD card. The smartphone has a 5-megapixel rear camera is coupled with a 2-megapixel front shooter camera for the selfie. It packs a 2400mAh removable Li-ion Battery. 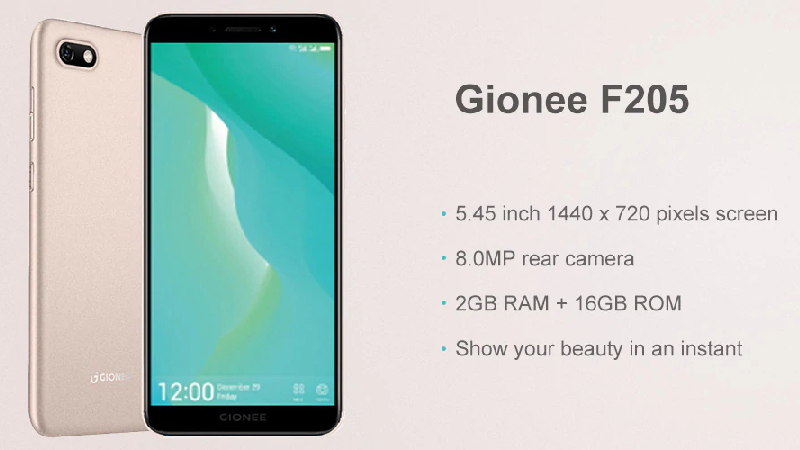 The Gionee F205 smartphone launched in November 2017, with the features a 5.45-inch HD+ IPS Capacitive Touchscreen display with a resolution of 720 pixels by 1440 pixels. It available in India with the price Rs. 5,490. The device is powered by a Quad-core 1.3 GHz processor and it runs on the Android 7.1 Nougat Operating System. The Dual SIM phone comes with 2GB of RAM along with 16GB inbuilt memory that can be expanded up to 256GB. Ginonee F205 is powered by 2670mAh Non-removable battery and sports an 8-megapixel primary camera along with a 5-megapixel Front camera for the selfie. 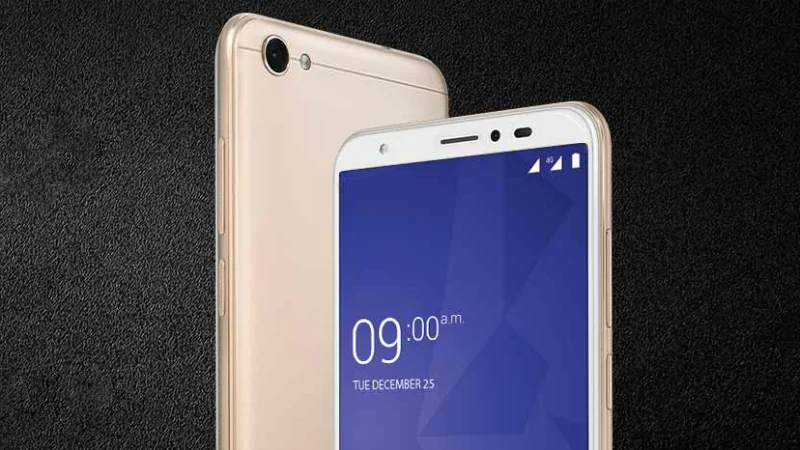 Coolpad Mega 5A Android phone launched in India with a 5.47-inch IPS LCD capacitive touchscreen display with a resolution of 720 pixels by 1440 pixels. This device available at Rs. 5,998. This smartphone is powered by a 1.3 GHz Quad-core, Spreadtrum SC9850K processor and operate on the Android 8.1 (Oreo) OS. The phone packs 2GB of RAM and a 16GB flash memory which is expandable up to 128GB. 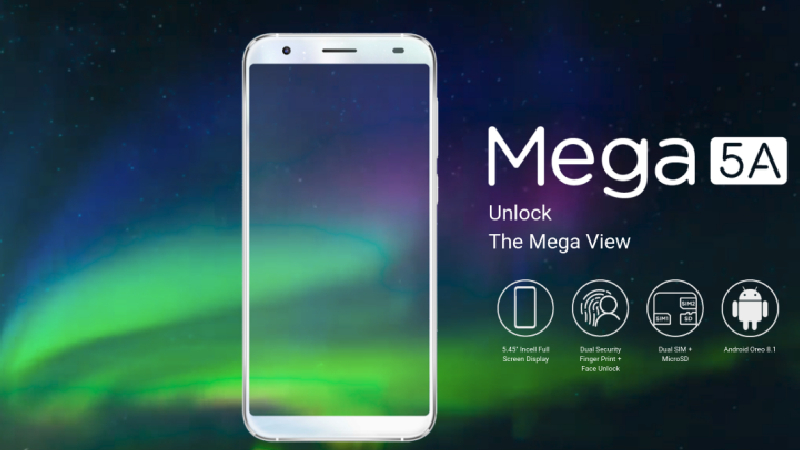 Coolpad Mega 5A packs an 8 + 0.3-MP dual primary camera coupled with 5-megapixel front camera for the selfie and face unlock. It is embedded with 2500mAh Non-removable Battery.